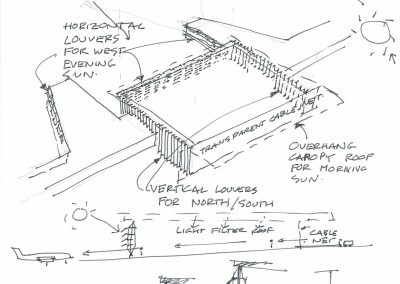 HDA TEAM : Hugh Dutton, Frédéric Bindji Odzili, Carla Zaccheddu (Project Leader), Cathy Shortle, Cheryl Heng, Alberto Rubin Pedrazzo, Jason Mahfouf. 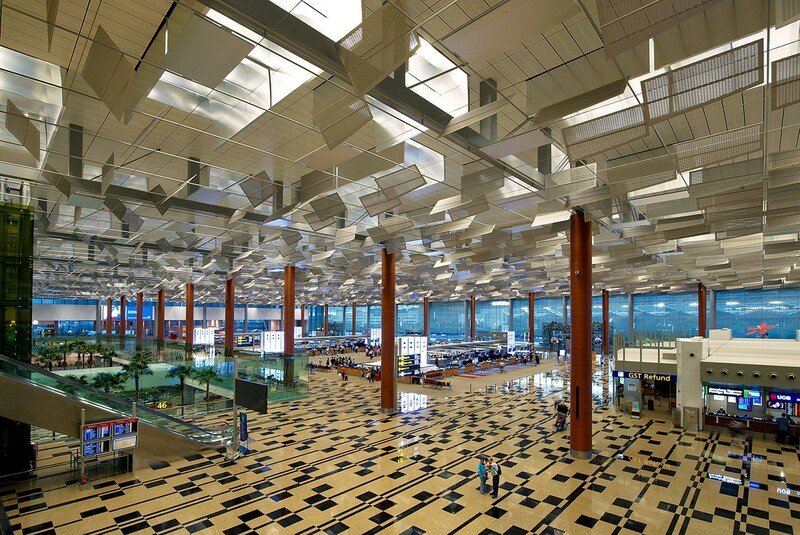 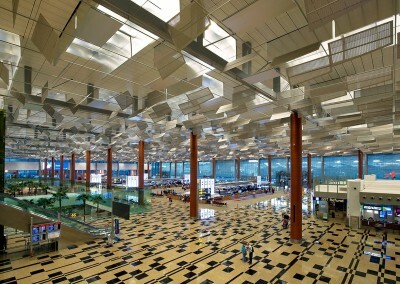 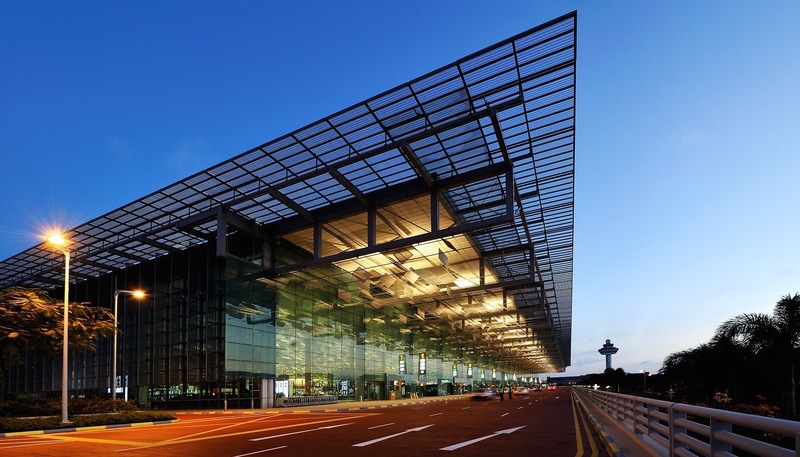 For Singapore’s Terminal 3 expansion of the Changi Airport, CAAS, the Singapore airport authority, appointed local architects CPG, together with SOM of New York, to develop an initial concept for the terminal building. 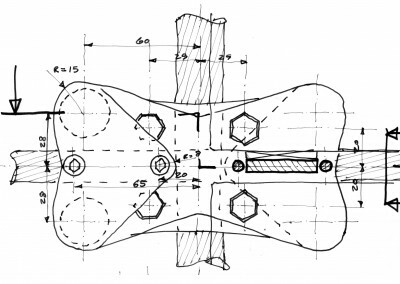 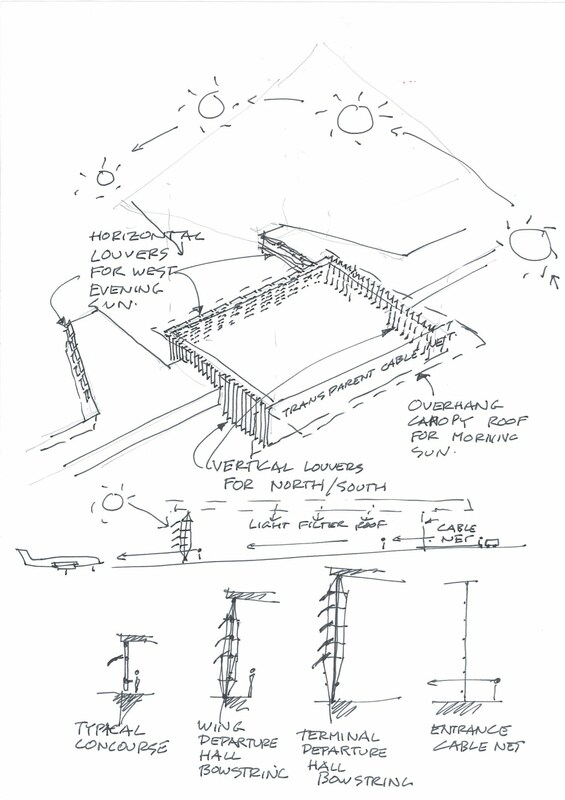 HDA was appointed to provide them with technical design assistance for the facades. 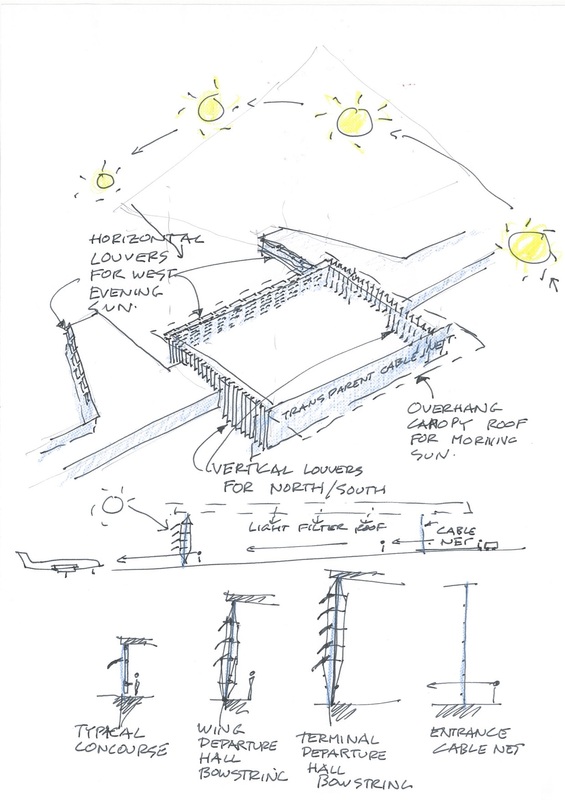 The architects called for a cable wall for the main landside departure level entrance facade, which should be as ephemeral and visually as light as possible. 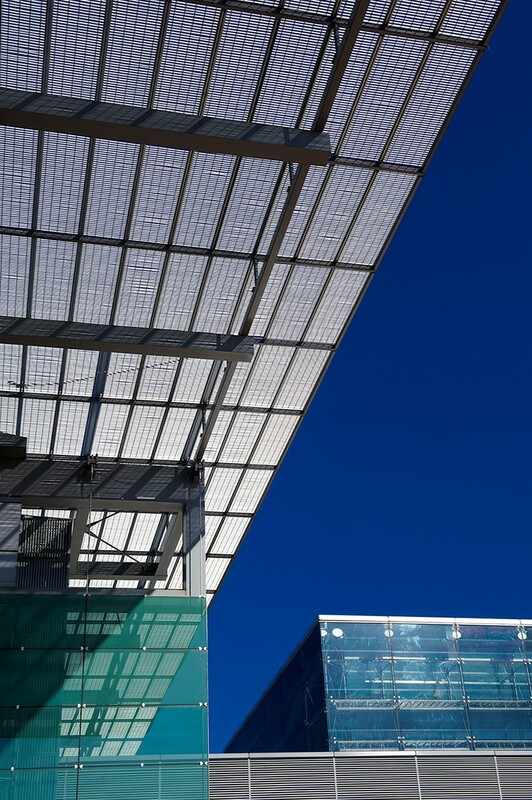 HDA designed a two-dimensional net of prestressed cables which span 18m vertically from concrete floor to roof truss and 15m horizontally between the columns. 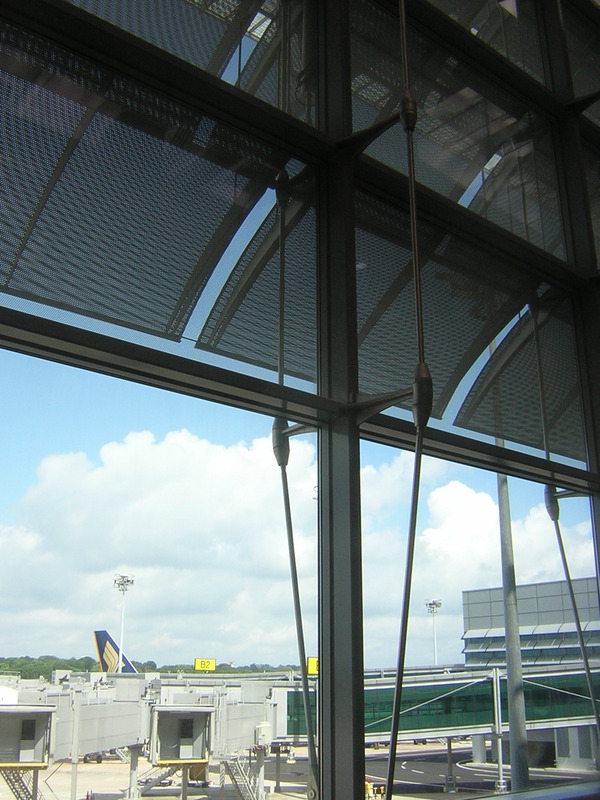 Laminated heat-strengthened glass was minimally fixed to this array of cables to provide a discreet and optimally transparent glass plane. 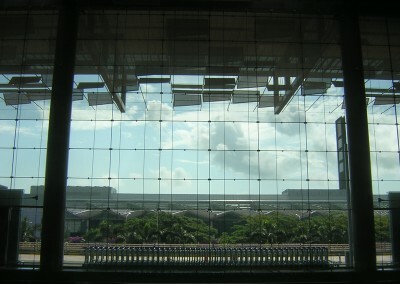 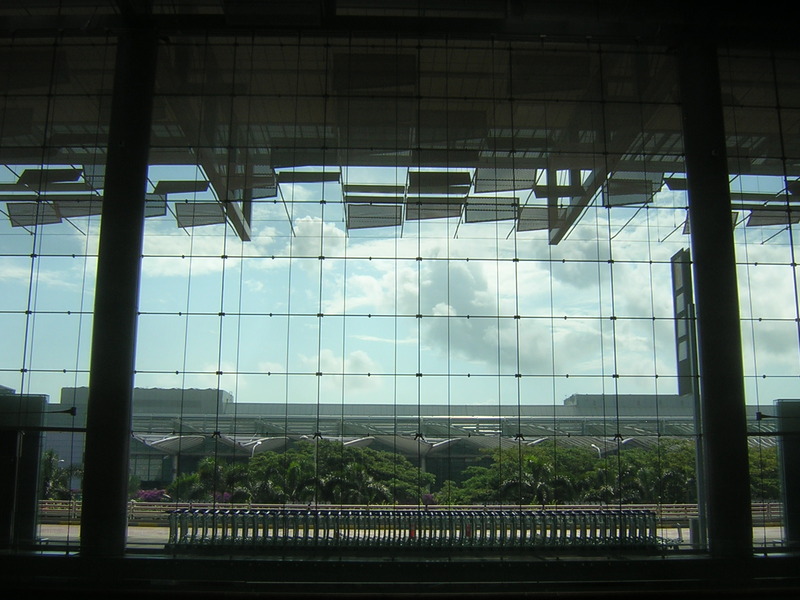 The typical facades of the building are insulated glass panels supported in a uniform bidirectional grid of steel framing. 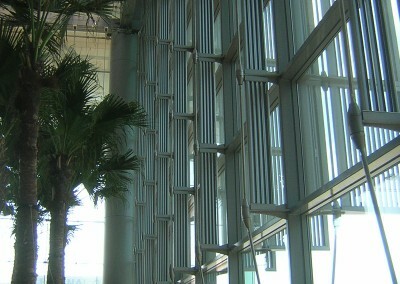 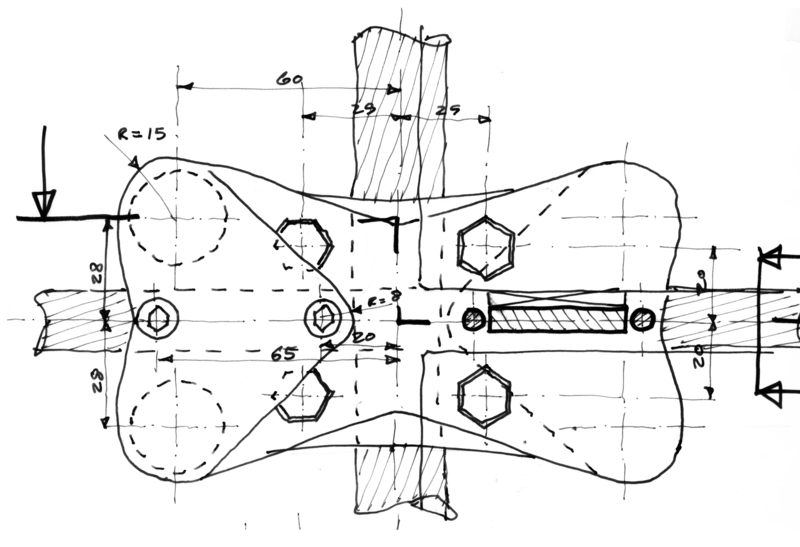 The mullions, varying between 6 and 18m high are reinforced with back-slung tension rods to increase their inertia for the larger spans. 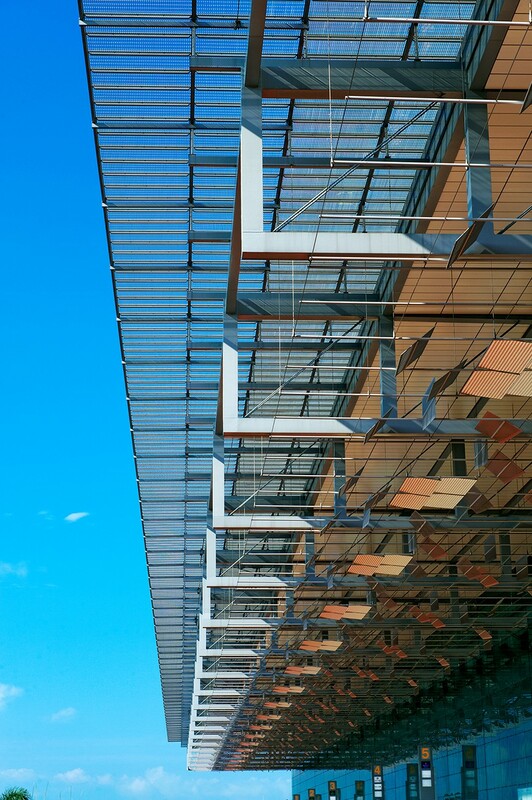 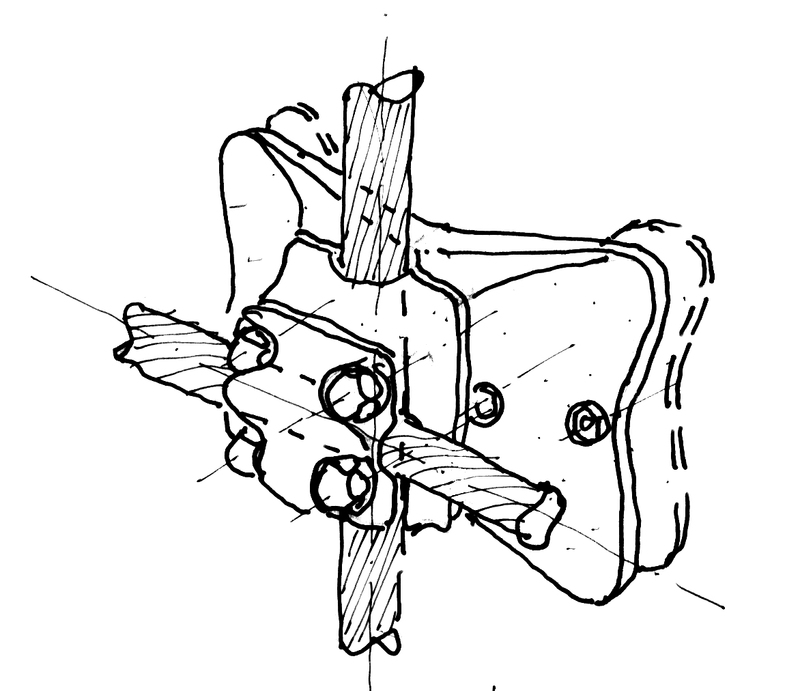 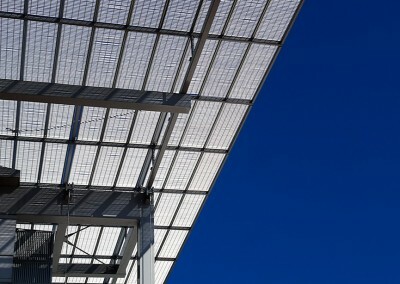 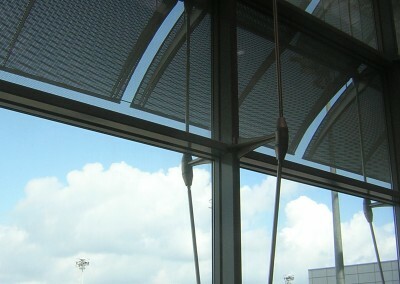 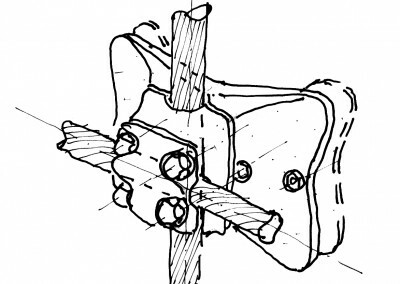 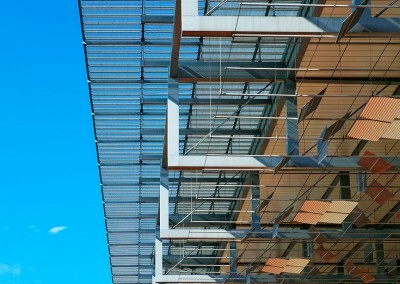 The tension rod system doubles-up as a support for sun shading louvers. 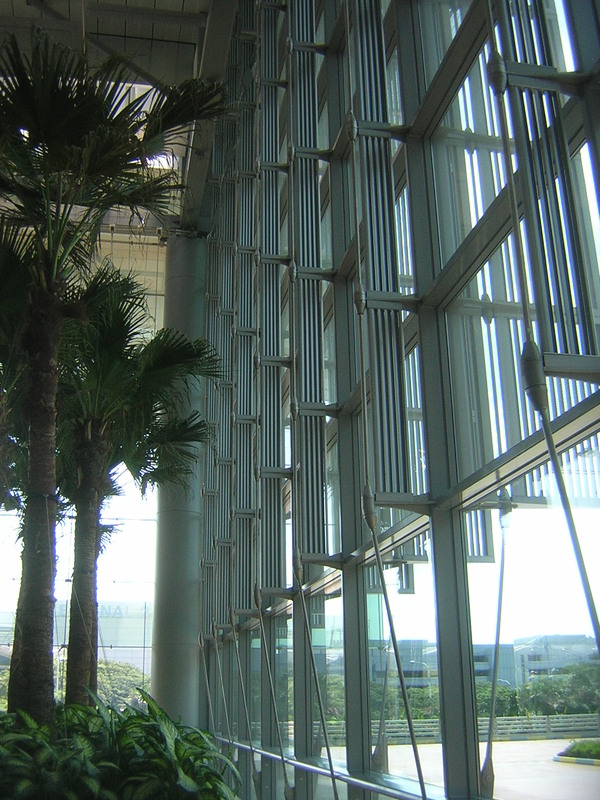 Solar protection is critical in response to local design conditions; Singapore’s unique equatorial climate involves critical solar protection for this entirely air- conditioned building using frit, high performance coatings, tints and traditional shading louvers.